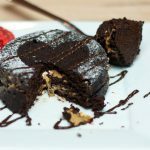 Home Tags Posts tagged with "Low Sugar Dessert"
This Keto Chocolate Cake takes your craving and kicks it up a notch! 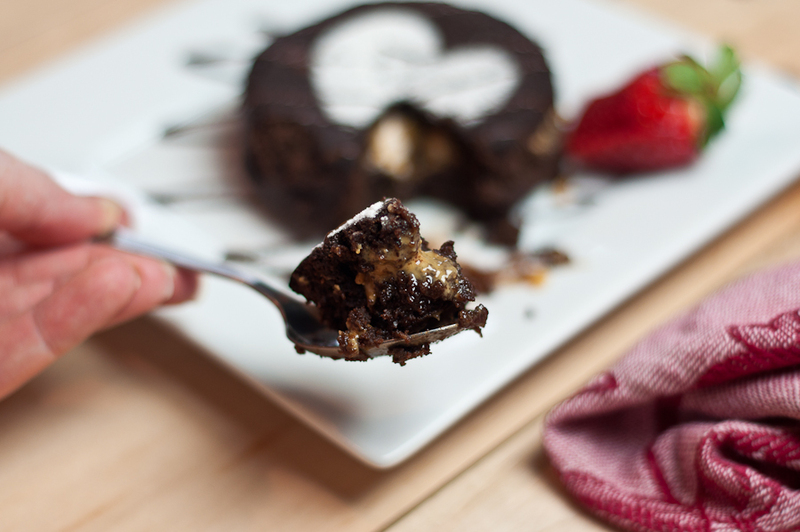 I add in a molten peanut butter center to give it that salty sweet combo. The peanut butter also keeps the cake nice and moist! 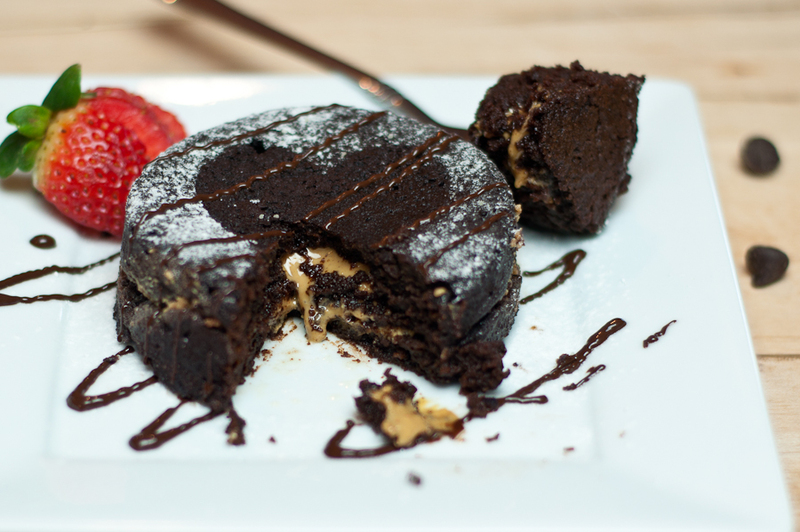 Peanut butter chocolate has always been one of my FAVORITE dessert combos. I will be the first to admit I love salty over sweet, and this combo can really curb that craving! Since choosing to go on the Ketogenic diet in September 2017 I have tried a TON of recipes that have this flavor combination. Fat bombs. Cupcakes. Cakes. All kinds and let me tell you… THIS IS THE ONE! 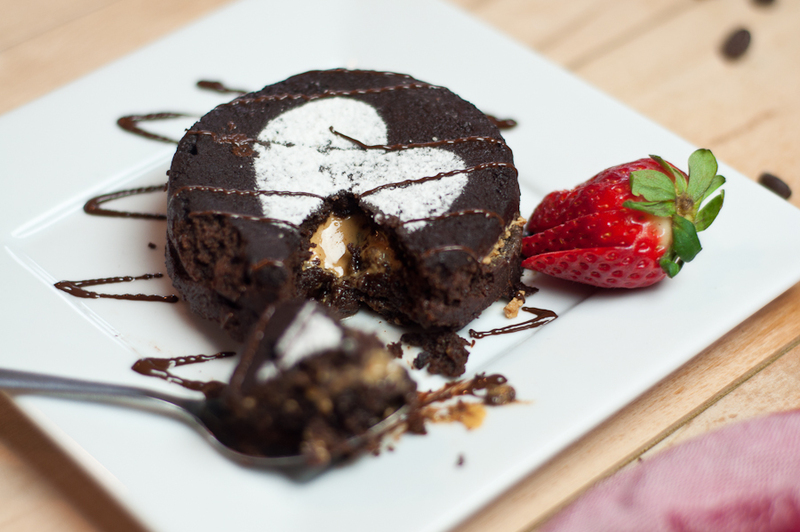 This Keto Chocolate Cake with a molten lava peanut butter center is the REAL DEAL! 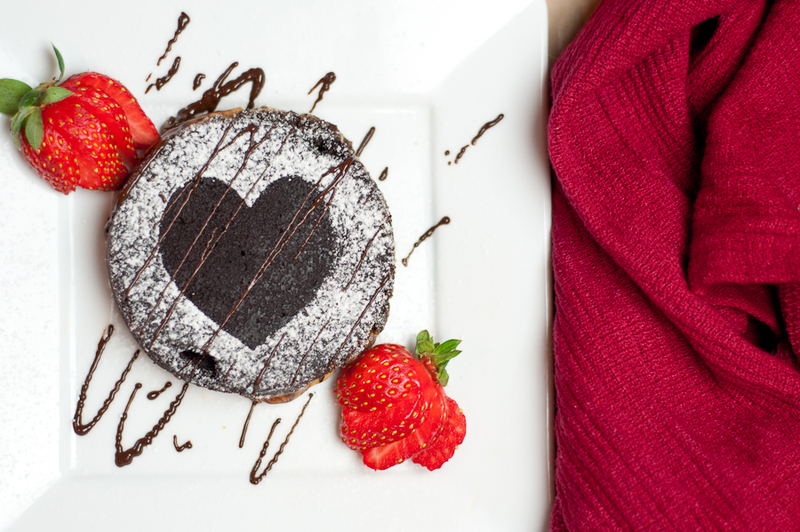 The best part, you cook them as individual little cakes… so NO SHARING NEEDED! Spray your ramekins with non stick spray. 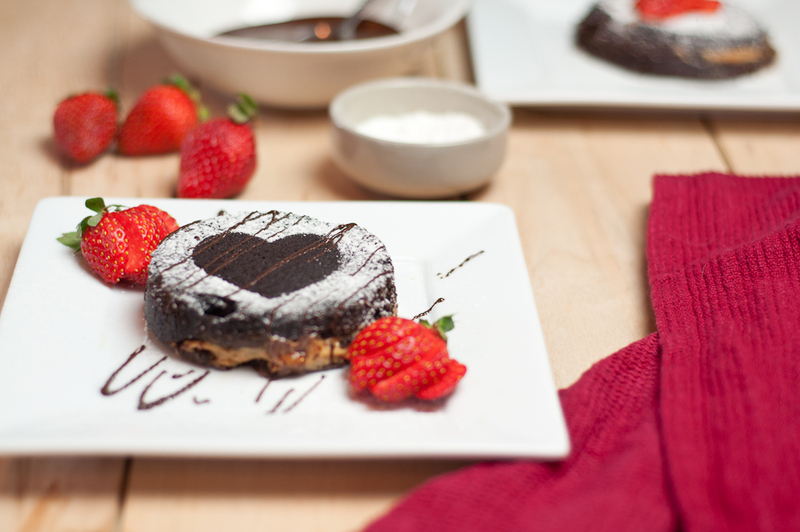 Sprinkle a little coco powder in each of the sprayed ramekins. Move the ramekin around so you coat the sides and bottom with the coco powder. In the microwave, melt the 1.5 oz baking chocolate and the 6 tbsp butter together. Do this is 20 second spurts. Mixing after each time. Mine is normally melted after the second 20 seconds. Pour the smooth chocolate mixture into a larger bowl and add the 1/2 cup almond flour. Mix. Add 1/4 cup monk fruit golden alternative sweetener, 1 egg + 1 egg yolk, vanilla and a pinch of salt. Mix. Fill each ramekin half full with the chocolate batter. Add a large dollop of peanut butter to the center of the half filled ramekin. Cover the peanut butter with more batter. Place each ramekin on the center rack of your oven and bake at 350* for 16 minutes. This time varies with each oven. If your cake is jiggly when you take it out add one minute at a time until the top is firm. Once out of the oven, carefully place a small plate on top of the cooked cake. Holding onto the ramekin and the plate (with oven mitts, I LOOOVE my ove gloves), flip over. Gently shake the ramekin to loosen the cake. Pull the ramekin off, revealing the cake. Add drizzled chocolate, or sift swerve confessions sugar on top. You can cut any shape out of paper to make a fun design. Eat right away, while warm, and enjoy! Macros Per Serving: 532 Calories, 9 carbs, 52 Fat, 10 Protein, 284 Sodium and 1 Sugar.